Turkish Prime Minister, Ahmet Davutoğlu, has announced a new $3.5 billion sub-sea tunnel under Istanbul’s Bosphorus Strait, which will be first three-level tunnel in the world and consist of both metro line and dual motorway. 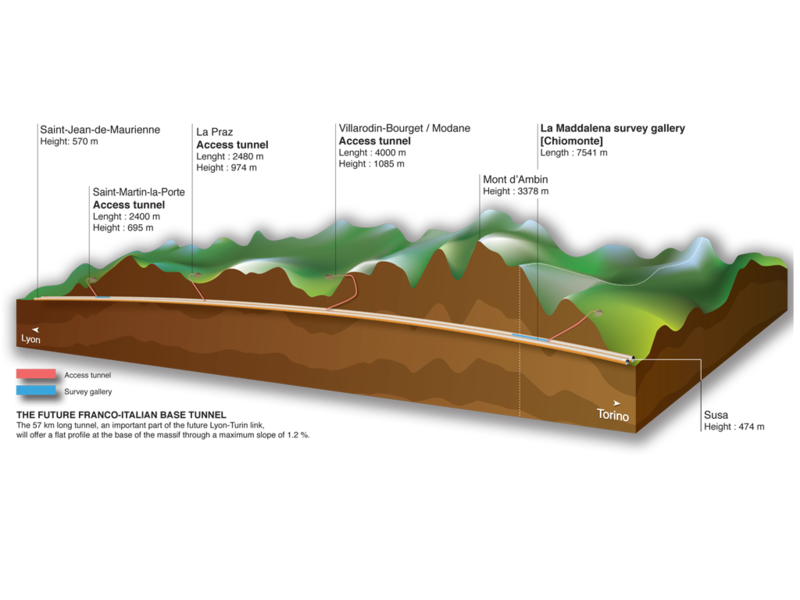 The 6.5km-long, 16.8m diameter, ”Grand Istanbul Tunnel” will be built as a public-private-partnership scheme, under a “build-operate-transfer” model. Davutoğlu stated that the tender for the project will be completed before the June 7 general election, and the aim is to put the tunnel into service within five years. The $3.5 billion tunnel will be integrated into Istanbul’s existing highway and railway lines and is aimed at easing the city’s intense traffic. 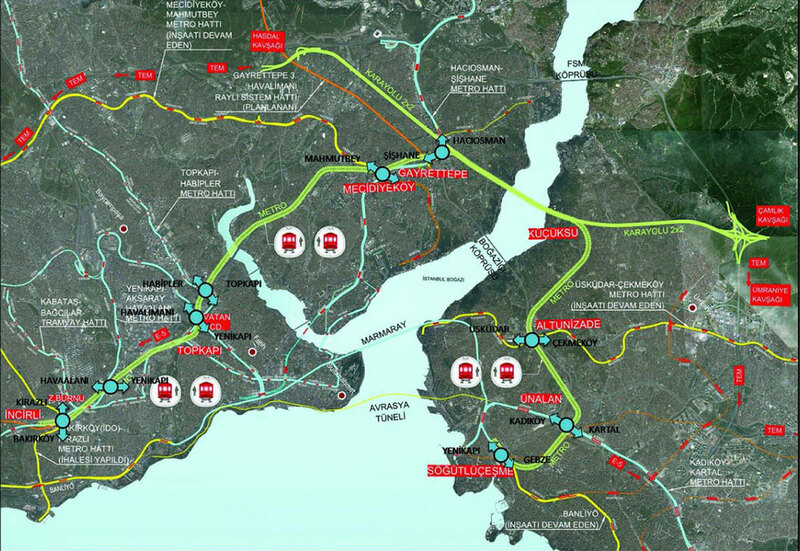 The metro line will enable 40-minute travel from İncirli to Söğütlüçeşme, and a 14-minute journey by car from Hasdal crossroads to the Ümraniye Çamlık crossroad. 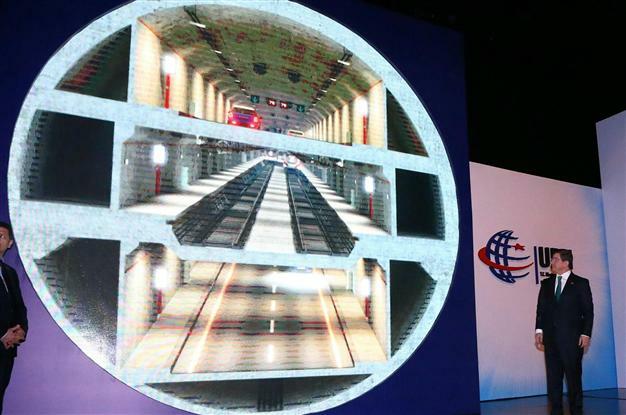 The new tunnel project combines the “fast metro tunnel project,” which will run from Bakırköy-İncirli – the in E-5 axis – and reach Söğütlüçeşme, similar to the Marmaray tunnel; and the “highway tunnel” with 2 x twin lanes similar to the Eurasia Tunnel – located on the TEM highway axis – in order to decrease the traffic on the Fatih Sultan Mehmet Bridge, the second bridge on the Bosporus. Instead of two separate tunnels, one tunnel will now be built for both metro and dual highway crossings. The tunnel will enable faster and cheaper transportation between the two sides of Istanbul, integrating nine different urban train systems with a fast metro track that will be used approximately by 6.5 million passengers on a daily basis. It will also enable easier and faster connections to ring roads; connecting all main arterial roads. Certainly interesting. The key point is not only the excavation but the connection of the internal slabs with the external final lining.